Whenever there is a teenager or a young adult in your life that is troubled in some way, it can be difficult to determine the best way to proceed. When it comes to treatment, there can be a number of challenges that any family will face. Whether you have someone in your household that is showing the signs of depression or there are other behaviors causing concern, you can look into camps for troubled young adults in North America for the right set of tools to get results. A troubled young adult that is showing signs of problematic issues such as substance abuse, addiction, and behavioral challenges, will do well in a program with peers. Because of this, wilderness therapy is a great option that can be very effective when it comes to helping young adults who are struggling with a variety of complex problems. These problems can include acting out, self-harm, eating disorders, adduction, and alcohol abuse. With the right environment and a strong level of support, young adults have the right tools necessary to enjoy recovery as well as success over the long term. Wilderness therapy programs offer a serene environment surrounded by nature, which is a peaceful setting just right for them to conquer any of the challenges that lie in front of them. 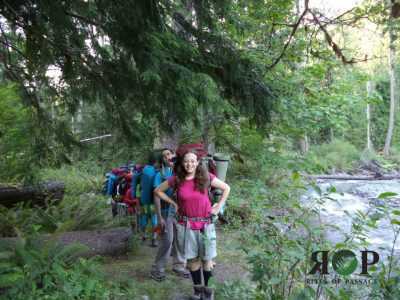 When you sign up for any sort of program with Rites Of Passage Wilderness Therapy, the young adult in your life will have a program tailored to his or her exact needs. At Rites Of Passage, we have a well-rounded program that includes one-on-one counseling, group therapy sessions, team building activities in nature, and so much more. We look forward to helping your loved one and your family when getting through these difficult obstacles in your life. Should you be looking for help for your teen, there are many outlets available. However, camps for troubled young adults in North America generally offer a well-rounded experience. Contact us today at Rites Of Passage Wilderness Therapy at (800) 794-0980 and we can go over all of the options that you have to choose from. Previous PostPrevious What Can I Expect From Wilderness Therapy In USA? Next PostNext What Do Programs For Troubled Youth In Washington State Have To Offer?